Degrees in statistics and psychology from the Sorbonne. Examined astrological data from 1950 to determine the degree of statistical evidence. A respect researcher who has compiled six massive volumes of data. Books include Cosmic Clocks. French psychologist and statistician with degrees from the Sorbonne. A highly respected researcher, he began to examine astrological evidence in 1950 to determine the degree of statistical weight against chance. He and his wife, Françoise, compiled six massive volumes of data from birth records in France, Belgium and Italy. His many books include "Cosmic Clocks," 1967. 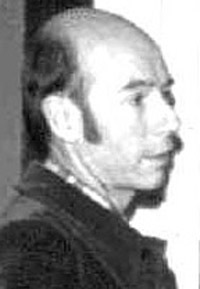 Michel Gauquelin was awarded the Marc Edmund Jones award in 1989. Divorced in 1982, he took a second wife from whom he was separated when he overdosed on sleeping pills sometime between May 18 and 21. His body was found in his Paris apartment on 6/06/1991. BIRTH AND DEATH DATA: AstroDatabank gives the following data, rated AA, BC in hand. He was born on November 13, 1928, at 10:15 PM GMT in Paris, France. He died in May, 1991. After decades of work, Gauquelin concluded that "our positive observations do not justify the current use of horoscopes" in that neither traditional Greek planetary symbolism, sign position, nor house interpretations appeared to correlate to the thousands of lives he studied. But there is that weak and persistent Mars Effect. . .
Gauquelin was suspicious of what he called "the charlatans and quacks of popular astrology," and "the commercial use and abuse of public gullibility by popular astrologers and their vast horoscope business"). "... Those who believe in astrology will probably consider the conclusions of this study terribly obvious. The skeptics, on the other hand, will probably think that Francoise finally succumbed to the charms of astrological traditions. Opinions do not matter. For the first time, scientific proof of the existence of the astrological reality of some planetary symbols has been clearly demonstrated. The fact that astrologers continue to misinterpret the horoscope is another issue. Francoise has brought to light the cold, hard statistical data that holds out to us, the scientistis, a somewhat "different" universe. The planetary symbolism described twenty centuries ago by Claudius Ptolemy, is not an image, but a reality. People born under Saturn really are saturnine, under Mars, really martial, under Jupiter really jovial. Who can explain how ancient people possessed these strange clues to the universe? Possibly, in a later book, Francoise?" "At the end of our second study," writes Gauquelin on page 156 of The Cosmic Clocks, "the evidence reproduced itself with stubborn insistence: as in the first group, the birth dates of the famous physicians clustered after the rise or the culmination of Mars and Saturn. An undeniable statistical correlation appeared between the rise and culmination of these planets at the child's birth and his future success as a doctor." Gauquelin collected more than 25,000 birthdates. "Eventually, a more and more precise statistical relationship appeared between time of birth and professional career," he continued. 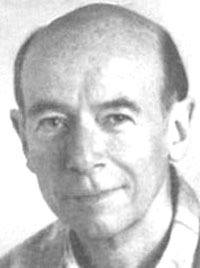 Michel Gauquelin (November 13, 1928 – May 20, 1991) was a French psychologist and statistician who, along with his first wife Françoise Schneider-Gauquelin (born June 19, 1929), conducted very important statistical research on astrology, from the beginning of the 1950s to the present day. Although he was highly critical of certain areas of the art, Gauquelin showed an interest in astrology from an early age; it is said that he could calculate a birth chart at the age of ten and earned the nickname of Nostradamus at school because of his astrological readings. After studying psychology and statistics at the Sorbonne, he devoted his life to the attempt to demonstrate the validity of certain fundamentals of astrology. However, he did not define himself as an astrologer and opposed the practice of astrology. Up to his death, he tried first and foremost to show the inanity of astrology, in reaction to his father, who was an enthusiastic defender of the practice. The Gauquelins concentrated on the analysis of a basic tenet of astrological doctrine, which affirmed the existence of a correlation between the positions of the planets, the day of an individual’s birth, the psychological character and the effect of this character upon their destiny. This line of research explores astrology--not to attempt to empirically prove the astrology handed down by tradition--but rather to test an astrology reformulated by science. A first account of the Gauquelins’ work was published in 1951 in The influence of the Stars, in which Gauquelin began a critical analysis of the work of his predecessors in statistical astrology, Choisnard and Krafft. The conclusions of this first attempt at synthesis seemed to show that for a cross-section of personalities well-known for their success in a given profession, the position of the stars in the sky would be found in a distribution that is not accidental. In his first studies, statistically abnormal positions of the planet Mars were detected in athletes, and similar abnormalities were found with Jupiter for actors, and with Saturn for scientists. In the 1950s, the Gauquelins successively published Methods for Studying the Allocation of the Planets in Diurnal Motion (Méthodes pour étudier la répartition des astres dans le mouvement diurne) (1957) and Men and Stars (Les Hommes et les Astres) (1960), in which they developed their analyses and conclusions. There was perfect agreement, as is emphasized by the Belgian Committee PARA, between the Gauquelins and the group of scientists concerning the establishment of an experimental protocol, as well as concerning the calculation of standards and statistical formulas for the sampling. The Committee arrived at the same findings for the positions of Mars in sectors I and IV, which seemed abnormally elevated statistically. Nevertheless, the Committee rejected the Gauquelins' interpretation of the results, considering that the calculations of the theoretical distribution of Mars wasn’t sufficiently confirmed by the Gauquelins. Gauquelin noted his disagreement with the objections of the Committee. Subsequently, Gauquelin and Science & Life asked the French Committee for the Study of Paranormal Phenomena (Comité Français pour l’Étude des Phénomènes Paranormaux) to take charge of a new research initiative. An experimental protocol was elaborated in 1982. A new sample of 1,066 French athletes was created. The initiative--which at the outset anticipated the establishment of a control group sample of 10,000 individuals--was changed, and the comparison was done with a randomly-generated cross-section. Gauquelin, who followed the progress of the study, had suggested additions and deletions of athletes in the sample with the major goal of recentering the study on major champions, and removing athletes having a weak reputation or mediocre results. His proposals, which focused on the test protocol’s original intentions (it stipulated that the champions selected must have had eminent reputations) were not considered justified and rejected by the CFEPP. In the end, the comparison of the two samples showed no significant statistical differences. If this last verification of the Gauquelin’s work has convinced a wide sector of the scientific community of the non-existence of the Mars effect, the objections of the CFEPP to Gauquelin’s suggestions on the constitution of the sample of athletes did not convince his partisans. Today, Gauquelin’s thesis has had a greater effect across the Atlantic than in France. His work, initiating a new scientific approach to astrology, was taken up by his followers, among which can certainly be counted his first wife, Françoise Schneider-Gauquelin, André Barbault, as well as others who emulate him, such as Hervé Delboy, Didier Castille or Suitbert Ertel, Professor at the University of Göttingen, who disassociated himself from the conclusions of the CFEPP and agreed with Gauqulin’s insistence on taking into account a hierarchy of value in the different athletes in order to obtain significant results. Although he always remained highly critical of astrology in general, his attitude towards its existence changed as his studies progressed in the study of the diurnal cycle, which is related to the astrological houses. 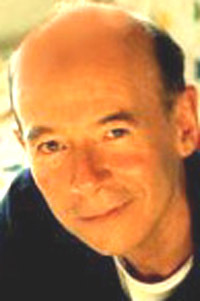 The computerized analysis of the natal charts of the famous and less renown in various career fields was done on the computers of Neil Michelsen's Astro Computing Service, in the late '70s, in San Diego, California. Towards the end of his life he tried to reform astrology by suggesting that astrologers should cast aside the majority of their tradition and build a new astrology based only upon the foundation of that which could be proven to be statistically accurate and testable. He called this 'Neo-Astrology', which was also the name of his last book in which he summarized his previous statistical studies and proposed this new system. He is often cited by astrologers as having provided evidence in favour of astrology. The Mars effect: relative frequency of the diurnal position of Mars in the birth chart of eminent athletes.The most famous result of Gauquelin's studies was the controversial Mars effect, wherein there is an apparent correlation between the rising and culminating of the planet Mars at the birth of eminent athletes in various fields. If true this would provide scientific evidence for an astrological correlation between the positions of certain heavenly bodies and human affairs. While some claim that the Mars effect is unknown within astrology (i.e. prior to the statistical finding), there is actually a long tradition that goes back to the earliest strata of horoscopic astrology which holds that planets in the angles (i.e. rising, culminating, setting, and anti-culminating) are said to be more active and signify the prominence of the specific archetype which is associated with the planet in question. Away from astrology, Michel Gauquelin was an accomplished cyclist and was ranked among the top 50 tennis players in France, reaching the semifinals of the French over-50s championship. Following his divorce from Françoise, he married Marie Cadilhac in 1986. His death was the result of suicide. Although many astrologers would define astrology as a science, most of today’s mainstream scientists would disagree. Today’s scientific community demands empirical evidence in order to regard something as a proven and established fact. Yet even when statistical and other proof is provided, modern scientists and academicians continue to exclude serious discussions of astrology from their journals and classrooms. The primary reason there has been no marriage between science and astrology is simply that astrology does not fit within the existing paradigm (or shared belief system) of modern science. Some astrologers and researchers have challenged this paradigm, and through their untiring efforts several have left a lasting impression on both astrology and science. 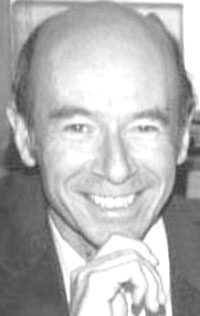 One such man, Michel Gauquelin, was a major change agent in the current paradigm shift taking place in the scientific community with regard to astrology. Michel Gauquelin was born in Paris on November 13, 1928, at 10:15 p.m. Although no one else in his family was interested in astrology, his curiosity about the subject emerged very early in life. By the age of seven he knew all of the dates for the astrological signs; at age 10 he asked his father to teach him how to calculate the ascendant for birth charts. At age 15, he began skipping school to visit the astrology bookstore, where he read over 100 books by the age of 17. As he learned astrology, he interpreted his schoolmates’ charts, and they nicknamed him Nostradamus. [N]ot only in others, but also deep within myself. I could quote Descartes’ first principle: Never accept anything as true unless I clearly and obviously know it to be true. … I had at the very most a feeling that perhaps the astrological tree was concealing a forest of emptiness. Assurances from the astrologers I met were unrelated to the complex nature of the problem. It is true that for them there was no problem, and I found it increasingly difficult to tolerate their palaver. Was their proof only in their imaginations? At about age 20, Gauquelin began scratching. Realizing he needed to understand how to do statistical research, he enrolled at the Sorbonne. (4) He believed there were two things standing in the way of establishing astrology as a science: there had been insufficient experiments conducted with large samples to test astrological laws; and there had not yet been established a truly scientific method that could be applied to astrology. He decided to do his best to fill this void. (5) Gauquelin began collecting dates and places of birth for famous people, and he decided to look for correlations with traditional astrological principles in three main areas: occupations, heredity and personality traits. I had already set up some real statistics about the thousands of cases without an hour of birth, in an attempt to verify some of the rules of traditional astrology, including the influence of the signs of the zodiac or particular planetary aspects. The results were less than encouraging and I should, in all logic, have abandoned the whole enterprise then. But I decided to continue and to concentrate on increasing my collection of famous figures with their hours of birth. This happened in 1950; I was twenty at the time, an age when youthful enthusiasm forbids an admission that anything is impossible. Perhaps, I thought, I have put my finger on a new scientific fact. Why should unprecedented prospects not be born from the ashes of astrology, but this time according to the procedures of contemporary science? I scratched for a long time and eventually I found the gold nugget. At least I believed I had. But at the same time, I was very much aware how unlikely it was that this was true. Could my pearl be an artificial one, a slip of my thoughts, or a mirage conjured up by my subconscious? I was alone with my problem. Gauquelin had found significant correlations between astrology and his first area of research: occupations. In 1967 Gauquelin turned to the third and final area of focus in his research: personality traits. He believed that: “It is not sufficient to establish a global relationship between professional personalities and the planets if this relationship cannot be confirmed on an individual basis.” Using the same charts he had gathered to prove a relationship between the planets and occupations, he searched for a connection between the planets and character traits. He consulted biographies of each famous person to find words which had been used to describe their personality and behavior. After compiling lists of these traits, Gauquelin found that there was a significant correlation between character traits and the location of certain planets within the Gauquelin sectors. It took more than two years to compile information from biographies of sports champions alone. Then he checked to see if Mars was more often rising or culminating in charts of individuals with these specific traits (described as iron-willed, aggressive, competitive, adventurous, untiring, etc.). To our first question—“Did you recognize yourself in the psychological portrait sent you? Did you recognize any of your personal problems?”—we received a positive answer in 94 percent of the replies. Gauquelin questioned both science and astrology, and he demanded that each provide proof of their claims. Springtime is a period of both physical and mental effervescence. Duhot has termed this phenomenon the “spring hormonal crisis.” The endocrine glands become more active, …[and] the endocrine glands are also closely associated with our behavior and mental state. Although he was never able to explain it according to the laws of physics, Gauquelin was confident that cosmic forces affect humans in many more ways than science has imagined. How very like the planet Mars to start a war! In this instance, it was a war between the scientific establishment and a pair of French psychologists, Michel and Francoise Gauquelin. The Gauquelins conducted rigorous research over a period of thirty years that demonstrated that certain traditional astrological principles held true to a high degree of statistical validity. Possibly their most striking example was called The Mars Effect, in that they found that overwhelmingly the charts of sports champions tended to have the planet Mars within ten degrees of one of the four angles of the chart. Imagine that beginning in 1949, this pair of painstaking researchers and statisticians hand-calculated thousands of timed birth charts, though eventually with the development of computers, they were enabled to do more advanced work. In time, their studies included over 60,000 timed charts of notables, and their findings extended to the angular positions of other planets as well. Still, it was and is to this day the Mars Effect that most stirred up their scientific adversaries. Though these results were first published in the 1970s, if you input the name Gauquelin on your internet search engine, you will still find web pages by skeptics who delight in denouncing them. Their results inflamed the scientific community to the extent that researchers who would go to any lengths to disprove this threatening notion actually falsified their data and later admitted to it. If you are thinking, "What a great book that would make," read The Tenacious Mars Effect, by Ken Irving and Suitbert Ertel. For a brief chronicle of events, visit Ken's account of the controversy. The Gauquelins divorced in 1982, and each continued the work separately and with great distinction, becoming highly-respected members of the astrological community. The Matrix Pioneer Award was given to Sorbonne-educated Michel for being the first to achieve real scientific validation and results in the field of astrology. He was also given the prestigious Marc Edmund Jones Award in 1989. For information on more recent investigations by a variety of astrologers, see Planetos, an on-line journal dedicated to researching the Gauquelin Factors. "I first met Michel when he spoke at the January, 1969 National Astrological Society conference in New York City that I had organized. Having read his Influence des Astres, which established the Mars effect, I expected to meet a dry statistician. Instead I found him warm, with an original sense of humor. He was open and accessible to anyone seeking information. He surprised me with his uncanny ability to guess people's rising planets. An accomplished tennis player he was ranked among the 50 leading French tennis players. "Trained at the Sorbonne in psychology and statistics, he devoted his career to investigating a subject that caused his academic colleagues to attack him. Michel demonstrated courage in confronting scientific prejudice and debating his often vicious critics. He provided the first significant validation of the astrological hypothesis that man is connected to the cosmos and that planetary positions correlate to specific personality traits. "Ironically, while his ground-breaking work provided scientific proof for correlations of planetary effects, his research gave little support to many long-held astrological beliefs. His initial work correlated Mars in the zones of power with famous sportsmen. He later connected the Moon in zones of power with writers, Saturn with scientists, and Jupiter with actors and politicians. 'Michel possessed enormous discipline, impartiality and integrity, always presenting both his positive and negative results. All his initial research (before computers) was undertaken by gathering and calculating extensive horoscope data by hand: he would canvas Europe to collect this data personally paying the requisite fees to registries. During a visit to his laboratory I was overwhelmed viewing thousands of 3 x 5 cards which contained all the data. "In 1989, he was awarded the National Astrological Society's Marc Edmund Jones Award, in recognition of his lifelong achievements, which provided astrologers with significant data to communicate to a skeptical scientific establishment. His untimely death was a tragedy for the whole astrological community. Astrologers owe Michel Gauquelin an enormous debt. His pioneering research laid the scientific foundation for validating planetary effects." "Few researchers have done more to enhance the validity and scientific status of Astrology than Michel and Francoise Gauquelin. Michel's passing is a great loss to the astrological community, not only for his 40 plus years of research correlating planetary placements with vocational prominence, but also for his precision and persistence in methodology, and his personal accessibility, charm, and enthusiasm." "The specific importance of the Gauquelins is not in their direct contribution to the knowledge of astrological principles as such, though this has been valuable in some instances, but in the fact that, confronted by a mountain of prejudice against astrology in an age which demands secure empirical evidence, they have by dint of immense courage, tenacity, and intelligence, provided this on a massive scale and in a form which has never been refuted, despite repeated attempts by hostile critics in the scientific world."